Do you live in Bucks? In need of a hearing test or your hearing aid repaired? Or maybe you need your ear wax removed by a leading ear wax removal centre? 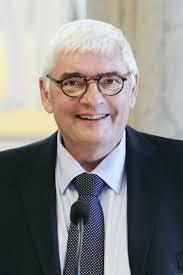 Here at the Hearing clinic Henley, Leon Cox can help with all your hearing needs. We are experts in ear wax removal and use various techniques. Micro-suction is just one way we can get out your hard impacted ear wax and the traditional water irrigation is another. You can watch our video on Micro-suction here. Please call our clinic for an appointment and we will fit you in as soon as possible. We are based in Little Chalfont. According to the World Health Organization (WHO), over 5% of the world’s population—or 466 million people—have disabling hearing loss. In Argentina, hearing impairment constitutes 18% of the existing disabilities according to Info LEG—86.6% of which experience hearing difficulties; 13.4% are deaf. While those diagnosed with hearing loss can take necessary actions for their individual cases—taking preventive measures to avoid total deafness, getting hearing aids, learning sign language, etc—those who do not know what’s happening to them are subject to a more frustrating experience. This is especially true for children who may lose the chance to develop their cognitive skills and pursue higher education. 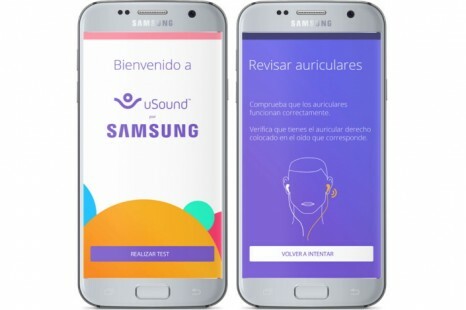 uSound for Samsung is an initiative designed to bring technology to people with hearing loss—to help detect the risk of hearing loss and thus improve their quality of life in such essential aspects as communication and education, the South Korea-based company announced. 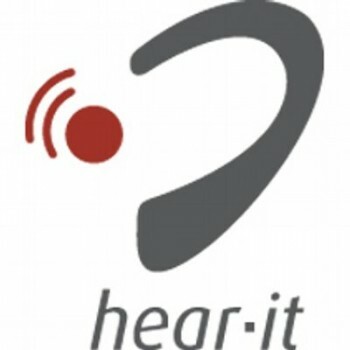 uSound Test is a free application that is designed to allow users to detect their hearing loss risk. According to the company’s press release, the app reproduces pre-calibrated sounds that users give feedback to. It then compares these results with its database, with the app reportedly detecting specific frequencies the user may have difficulty hearing. uSound Test is designed to analyze the auditory curve that results from the whole test to help determine the degree of hearing loss risk. uSound for Samsung reportedly issues a report with the results, designed as “a risk indicator,” according to Samsung. Since the test is not designed to be a medical diagnosis, the app recommends users contact hearing health specialists when necessary. 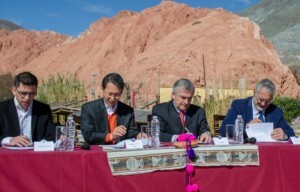 Left to right: Eduardo Ezequiel Escobar, CEO, uSound; Sang Jik Lee, President, Samsung Electronics Argentina; Governor Gerardo Rubén Morales, Jujuy Province, and Dr Gustavo Alfredo Bouhid, Minister of Health, Jujuy Province, sign an agreement to distribute uSound for Samsung in the Jujuy province to help residents detect risk of hearing loss. Contribute to a more egalitarian society. The Government of Jujuy will provide resources and workspaces for the hearing loss-detection campaign, according to Samsung. uSound will continue to help improve hearing experiences with its products, including the aforementioned test and an app that turns the cell phone into an auditory assistant**, according to the company’s announcement. Samsung Electronics will provide the necessary technology to carry out a first pilot test of uSound Test in health centers across Jujuy and will financially support the project. 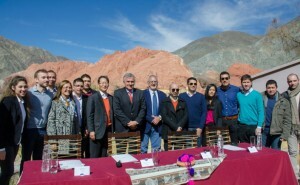 Eduardo Ezequiel Escobar, CEO, uSound (fifth from left); Sang Jik Lee, President, Samsung Electronics Argentina (seventh from left); Governor Gerardo Rubén Morales, Jujuy Province (eighth from left), and Dr Gustavo Alfredo Bouhid, Minister of Health, Jujuy Province (ninth from left) pose with other related parties for a group picture commemorating the signing event. 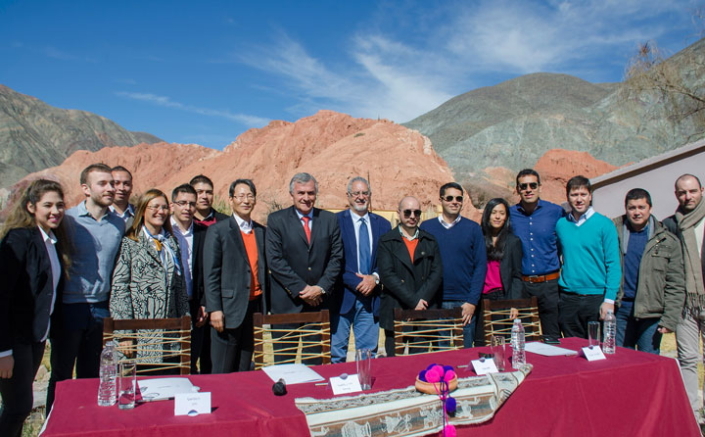 As a team, the Government of Jujuy, uSound, and Samsung Electronics Argentina will help give a larger part of the Argentine community access to tools to potentially change lives through the use of technology. Samsung has been preparing for entry into the hearing care market for several years; Hearing Review reported that the company filed an April 2013 patent for a “small hearing aid.” In 2015, Samsung placed a $13.9 million order for hearing aid amplifiers driven, according to a BusinessKorea article, by Vice Chairman Lee Jae-yong’s interest in what it called “mobile health care.” More recently, SamMobile reported in 2016 that Samsung applied for trademark registration of the term Earcle in South Korea, and that its application referenced hearing aids. Additionally, a Samsung device described as a “Samsung Bluetooth Hearing Aid” with the model number SM-R790, reportedly surfaced at the Bluetooth Special Interest Group’s (SIG) database. Heading a Football Could Create Balance issues. Football players who head the ball more often may be more likely to have balance problems than players who do not head the ball as often, according to a preliminary study released today that will be presented at the American Academy of Neurology’s (AAN) Sports’ Concussion Conference in Indianapolis July 20 to 22, 2018, the AAN announced on its website. A limitation of the study was that participants relied on memory when reporting how many times they headed the ball. The study was supported by the National Institutes of Health (NIH). Learn more about concussion at www.BrainandLife.org, the American Academy of Neurology’s free patient and caregiver magazine and website focused on the intersection of neurologic disease and brain health. Follow Brain & Life on Facebook, Twitter, and Instagram. To learn more about the AAN’s Sports Concussion Guideline and access resources, visit https://www.aan.com/concussion. 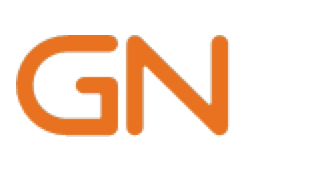 But a new national study reveals major gaps in whether Americans over age 55 get help for their hearing loss—gaps that vary greatly by age, race, education, and income, according to an article published on the Michigan Medicine website. In all, just over a third of older adults who say they have hearing loss are using a hearing aid to correct it, the study finds. But those who are non-Hispanic white, college educated, or have incomes in the top 25% were about twice as likely as those of other races, education levels, or income ranges to have a hearing aid. The cost of hearing aids is most to blame, say the researchers from the University of Michigan who published the study in The Gerontologist. They presented it this week at the annual research meeting of the AcademyHealth professional society for health care researchers. Hearing aids can cost thousands of dollars out of a patient’s pocket because most health insurance programs, including Medicare, don’t cover them. In fact, the study finds that the only factor that leveled the playing field for hearing aid use was having insurance through the Department of Veterans Affairs, which covers hearing aids in many cases. Hearing-impaired veterans ages 55 to 64 were more than twice as likely as their nonveteran peers to use a hearing aid, even after the researchers corrected for other differences. The gap between veterans and nonveterans was also significant for those over 65. “Hearing aids are not easy for many to obtain due to their costs,” says Michael McKee, MD, MPH, the U-M family medicine physician and assistant professor who led the analysis. McKee, who uses a cochlear implant to overcome his own hearing loss, worked on the study with Helen Levy, PhD, a health economist and professor at the U-M Institute for Social Research, and other colleagues. 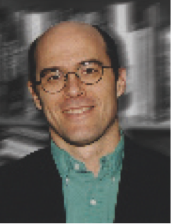 The authors are members of the U-M Institute for Healthcare Policy and Innovation. They used survey data from the nationally representative Health and Retirement Study, which is based on interviews conducted by the Institute for Social Research with funding from the National Institutes of Health. The authors conclude that the Centers for Medicare & Medicaid Servicesshould consider covering hearing aids for Medicare participants and those in Medicaid plans for lower-income adults of any age. Some state Medicaid plans do cover hearing aids, but it is not required. The percentage of older adults with hearing loss who used a hearing aid rose with age, from about 15% of those in their late 50’s to more than 57% of those in their late 80s. Forty percent of non-Hispanic white adults with hearing loss used a hearing aid, compared with 18.4% of non-Hispanic black and 21.1% of Hispanic adults with hearing loss. Nearly 46% of hearing-impaired older adults who had gone to college reported that they used a hearing aid, compared with just under 29% of those who hadn’t graduated from high school. Nearly half of those with incomes in the top 25% wore a hearing aid, compared with about one-quarter of those in the bottom 25%. Interviews showed that cost, lack of insurance coverage (or knowledge about insurance coverage), vanity, and stigma were common reasons for not using hearing aids. Participants also cited a lack of attention to hearing loss by their primary care provider and worries about finding an audiologist they could trust. 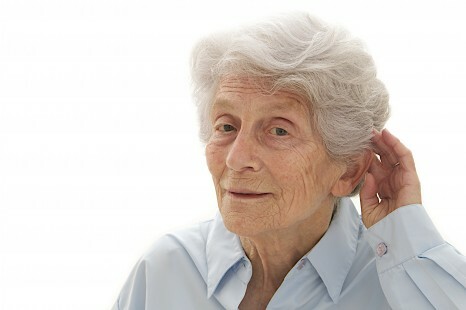 Estimates of hearing loss incidence place it at 29% of people in their 50s, 45% of those in their 60s, 68% of those in their 70s, and 89% of those in their 80s. Previous studies have shown that untreated hearing loss reduces older adults’ ability to carry out everyday tasks, reduces their quality of life, and is linked to social isolation, lower income, reduced cognitive function, and poorer physical and psychological health. A recent study led by McKee’s colleague Elham Mahmoudi, PhD, found that having a hearing aid was associated with a lower chance of being hospitalized or visiting an emergency room in the past year. That study focused on people over 65 who had severe hearing loss, and it used data from a federal database. McKee leads the Health Info Lab, which is researching health information use and literacy among deaf and hard-of-hearing individuals. This article is copyrighted by the University of Michigan and used with permission.